A young man is murdered for his prized pet fish. An Asian tycoon buys a single specimen for $150,000. Meanwhile, a pet detective chases smugglers through the streets of New York. 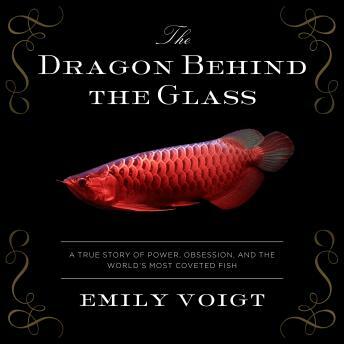 Delving into an outlandish realm of obsession, paranoia, and criminality, The Dragon Behind the Glass tells the story of a fish like none other: a powerful predator dating to the age of the dinosaurs. Treasured as a status symbol believed to bring good luck, the Asian arowana is bred on high-security farms in Southeast Asia and sold by the hundreds of thousands each year. In the United States, however, it's protected by the Endangered Species Act and illegal to bring into the country-though it remains the object of a thriving black market. From the South Bronx to Singapore, journalist Emily Voigt follows the trail of the fish, ultimately embarking on a years-long quest to find the arowana in the wild. With a captivating blend of personal reporting, history, and science, The Dragon Behind the Glass traces our modern fascination with aquarium fish back to the era of exploration when intrepid naturalists stood on the cutting edge of modern science, discovering new and wondrous species in jungles all over the world.